While the title of this video slot seems to refer to a troll, it appears more to be about an ogre, especially when you see all the characters in it that remind you of the Shrek franchise. Regardless, you still have some fun to look forward to with the amusing looking cartoon characters and the opportunities this game gives you to win some cash. Troll’s Tale is a game creation of Gibraltar’s Nektan Gaming company, which has seen a huge production of slot games over the past decade. This company makes slot games that are easy to play and are simple, while keeping features to the basic minimum that is required to make the game worth playing. That said, we were pleasantly surprised to see that this particular game had more bonus features than most Nektan slot games, and some pleasant graphics to boot. 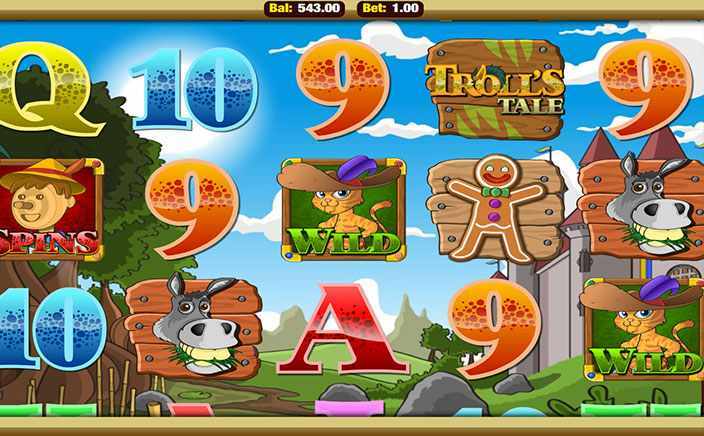 Troll’s Tale is a three row, five reel and 20 payline slot game that is based on what suspiciously looks like the fairy kingdom from the Shrek franchise. There are all the familiar looking characters from Shrek like the donkey and the gingerbread man, among others, even if the game seems to suggest that it is about a troll and not an ogre. Select how much you want to wager on a spin and then you can start spinning to see what symbols come up on the reels to calculate if you are getting a payout or not. Wild substitutions: The wild symbol in Troll’s Tale is the puss in boots character and getting him on the reels means you can use it to replace other symbols and make a payline that pays out. Free spins: The scatter symbol is Pinocchio and his long nose will certainly help nose out some quick wins if you get three or more of him on the reels. You can get ten free spins this way but none of them come with any multipliers. Sticky wilds: The sticky wilds feature is activated when there are at least three of the fairy godmother symbols and they stay sticky for one to five free spins. This can help give you a return of 50x of your wager amount. Click me bonus: There are three troll symbols on the reels that can win you the click me bonus, in which you have to pick a symbol from a 5 by 5 grid. You can either win a multiplier in this round, or you will have to fold when you get a soldier instead. 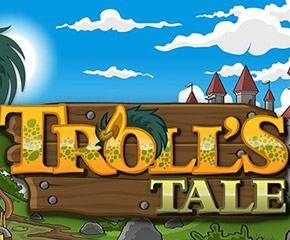 Troll’s Tale is one of the better slot offerings from Nektan Gaming and makes for very entertaining play.